Watch African Culture Connection on YouTube. African Culture Connection (ACC) marries a solid cultural arts curriculum with the expertise of contracted teaching and performing artists in order to take African dance, drumming, visual arts and culture to performance venues, schools, youth organizations and after-school programs across the state. ACC performs for public audiences across the state of Nebraska and Iowa. 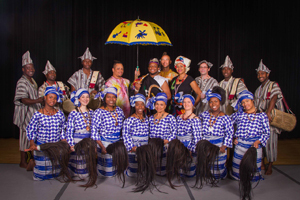 During these 45-60 minute live performances, the audience witnesses the richness of West African culture through two categories of dancing and drumming called royal and popular. Each dance performed by ACC displays traditional culture through vibrant costumes and different arrays of singing, dancing and drumming. During the performances, the audience is also entertained and educated through drumming interludes, African videos, pictures and facts. As a recipient of the 2012 National Arts and Humanities Youth Program Award, ACC is eager to continue in its quest to promote unity and multiculturalism by sharing the richness and beauty of African culture.